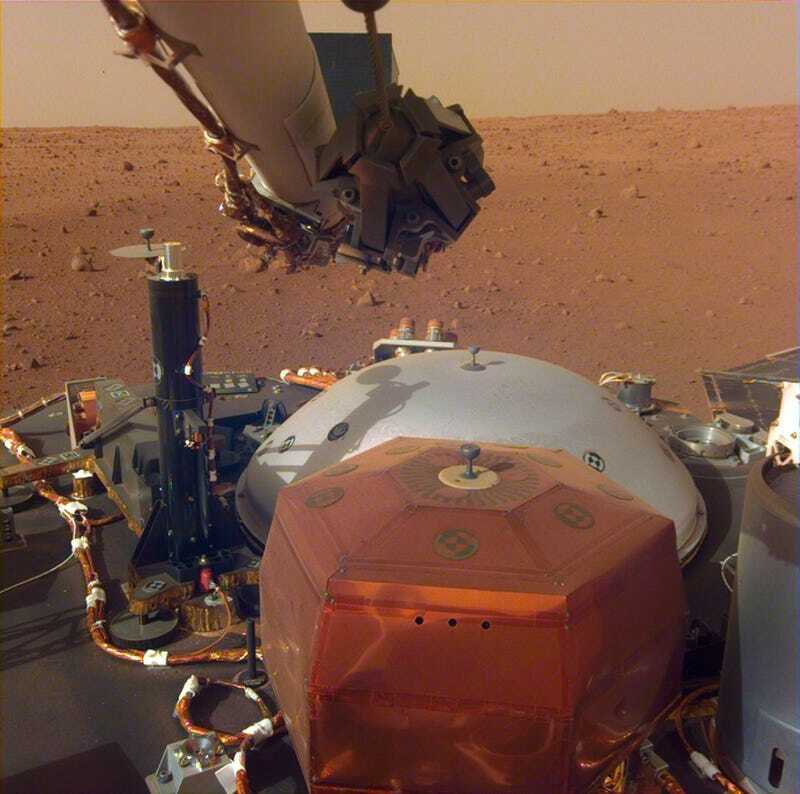 It’s been a couple of weeks since InSight made its picture-perfect landing on Mars. 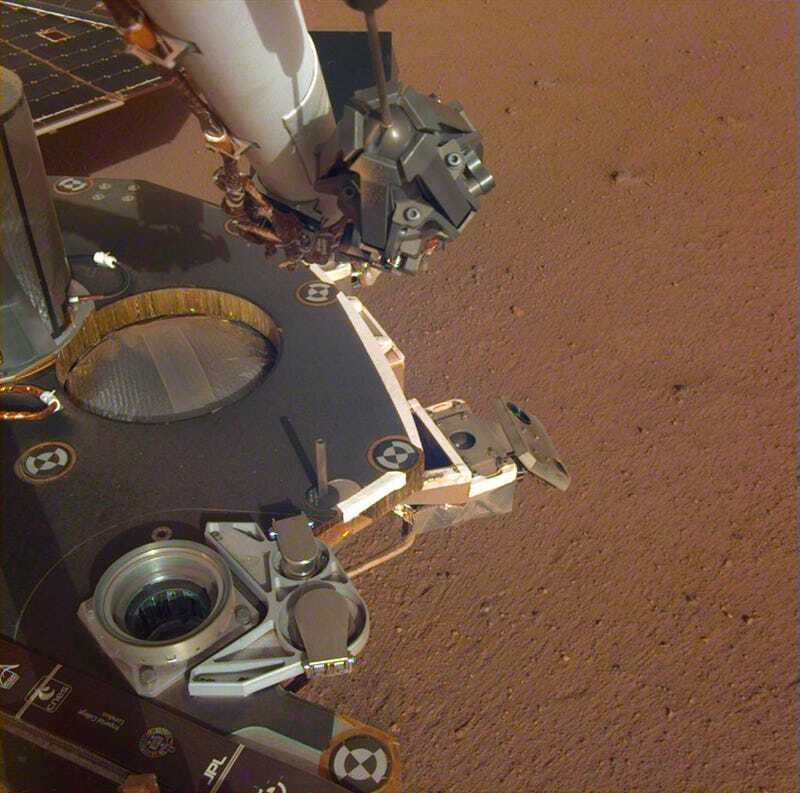 Vivid new photos taken from the landing site are finally giving mission controllers a sense of the landscape around the stationary probe—and the early signs are very positive. 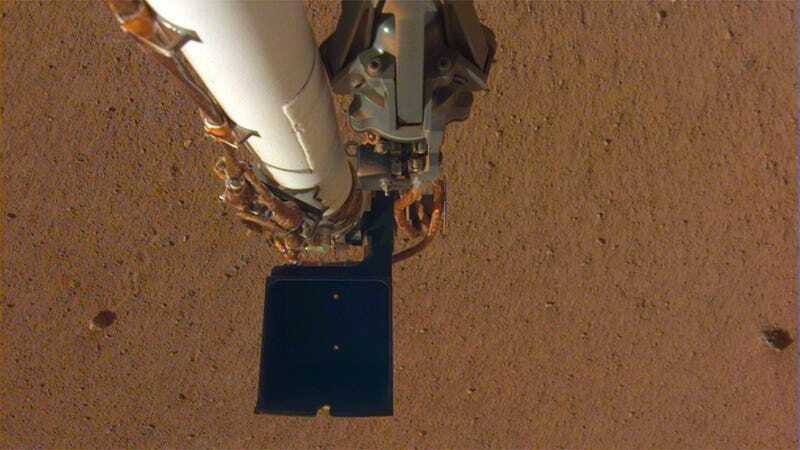 The landing site is wonderfully smooth, as imaged by the Instrument Deployment Camera attached to InSight’s robotic arm. Image: NASA/JPL-Caltech.